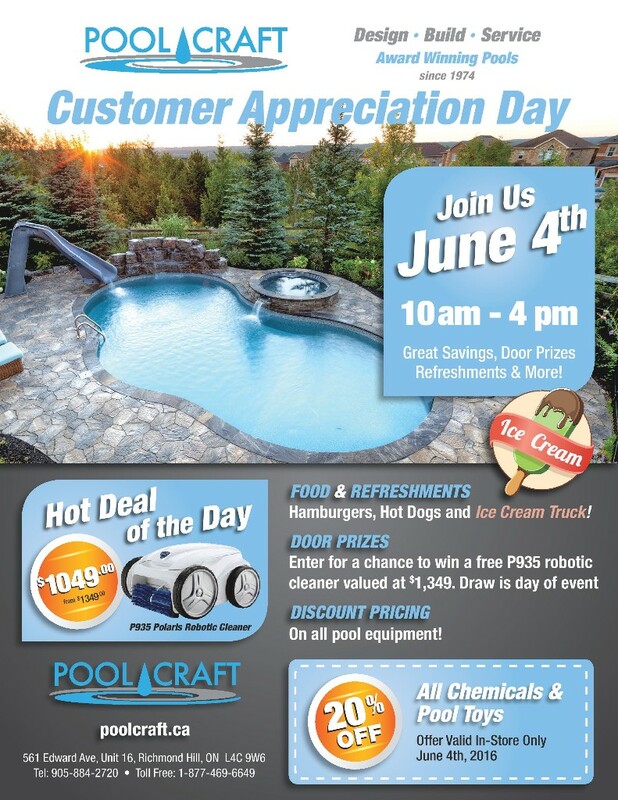 We invite all our customers to join us on Saturday June 4th, 2016 for our customer appreciation day. 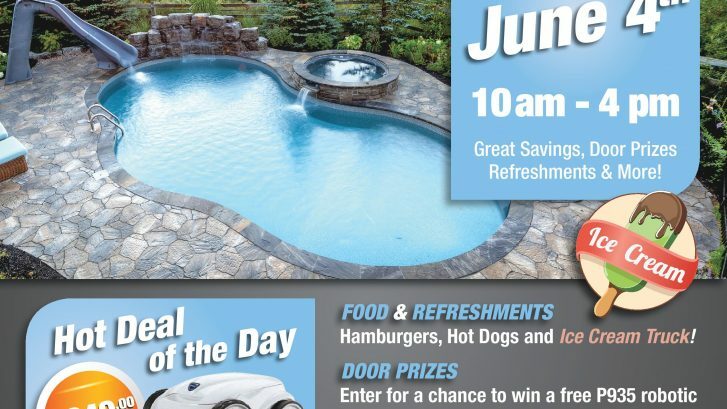 Free Food, Ice Cream and Drinks – Burgers, Sausages, and Full-Serve Ice Cream Truck! Pool opening season is almost complete and we want to show our appreciation by hosting a day of discounts and prizes for everyone. We ask everyone to come visit us between 10am – 4pm grab a bite and pick up everything you need for the pool this season. We have a great new line of pool toys for all ages and some hot new products to see! There will be discounts on chemicals, toys, pool equipment and other in-store products so don’t miss out! 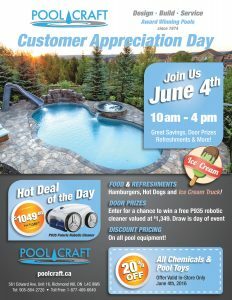 View our customer appreciation day flyer below or click here.